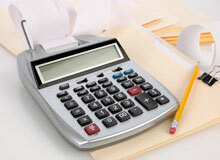 Despite the popularity of QuickBooks, many individuals and businesses alike report numerous difficulties with its use. At Sierra Bookkeeping & Tax Service, we're here to take the guesswork out of the equation with comprehensive QuickBooks accounting services. Our team can provide the consulting and training you need to make using QuickBooks a snap. We hold the Advanced QuickBooks ProAdvisor Certification and all available QuickBooks ProAdvisor product certifications (Pro/Premier, Enterprise, POS & QB Online) including older versions back to 1999. Click Here to visit our QuickBooks ProAdvisor profile. We can help you get set up and started using QuickBooks and/or QuickBooks POS properly from the start. If you are already using either product and need help fixing problems, cleaning up messes, or implementing new features, we can help you. We can train you to get the maximum usefulness from the products and help you to configure and understand the various reports the systems can produce. Or, we can do it all for you and give you the accurate and timely financial reports you need to run your business more effectively. Finally, we can also prepare your tax return and usually do it for less than you are used to paying because you will have an accurate set of books to work from. 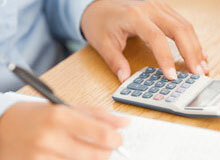 At Sierra Bookkeeping & Tax Service, we understand that you have specific needs. That's why we'll customize our services to suit your unique requirements. Whether you need help setting up QuickBooks or navigating its more in-depth features, we're at your service. Our training and consulting services are available on an individual or large-scale basis; no matter how many employees you're looking to train, we're more than willing to accommodate. Our commitment is to help clients like you save time, increase efficiency, and gain the skills and knowledge needed to get the most out of QuickBooks. Copyright © Sierra Bookkeeping & Tax Service. All rights reserved.